Any notes you add into the Public Notes section of a property can be made available for listing agents to view. 1. 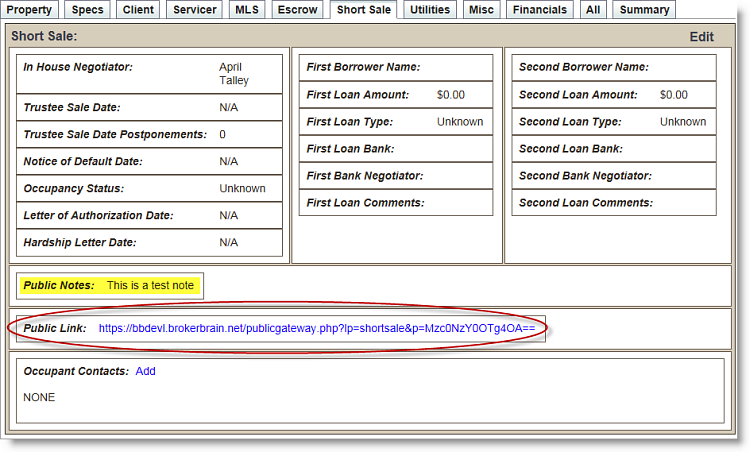 From the property's Main tab, click on the Short Sale tab at the top of the screen. 3. 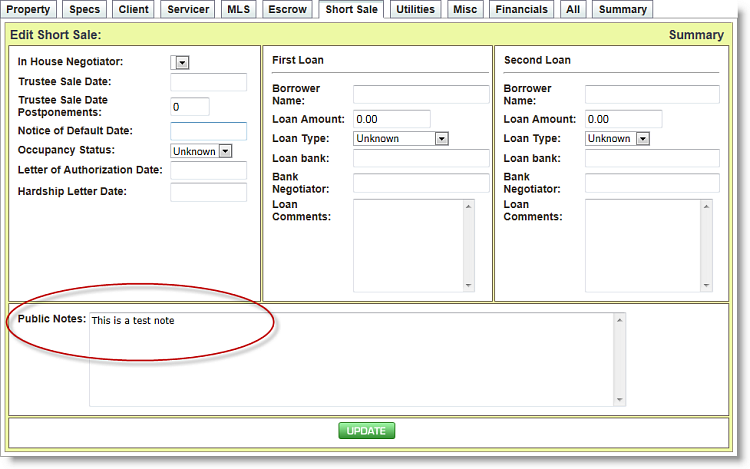 Add any desired notes in the Public Notes section (circled in red above), then click the green Update button. Once you have placed a note in the Public Notes section, you can send a URL link to the listing agent so they can monitor view the note information. To do this, simply copy the URL in the Public Link field (circled in red below), paste it into an email, and send it to the listing agent. Since all Short Sale notes are added into the same field, once you have sent the public link, any new notes you add to the property will automatically display anytime the agent clicks the URL.